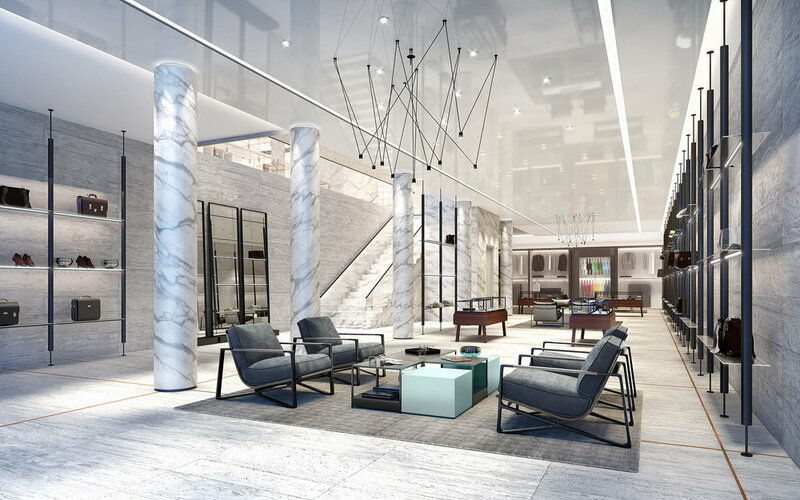 Thor Equities Group has leased 3,800 s/f of retail space at 680 Madison Avenue to Missoni, company executives announced. Running the entire length of Madison between 61st and 62nd Streets, 680 Madison Avenue encompasses 34,000 s/f of retail space owned by Thor Equities Group. Approximately 2,800 s/f remains available for lease. In 2018, British haute couture fashion house Ralph & Russo leased 5,800 s/f of retail space in the building. Additional tenants include Tom Ford, which occupies 12,300 s/f for its flagship store, as well as luxury men’s brand Brioni and exclusive eyewear collection Morgenthal Frederics. Built in 1951 by the Astor Estate as a hotel, 680 Madison later became the Helmsley Carlton House before being converted to a luxury residential and retail property.